After a disappointing spring and subsequent gelding operation, three-year-old Ollivander faces an important test when he makes his return to racing in the $250,000 Inglis Dash at Flemington. Ollivander was an impressive winner on debut at Caulfield 13 months ago before running second to Long Leaf in the Listed Blue Diamond Preview at his next start. He was unplaced at his other two starts as a juvenile and his spring campaign last year was cut short after he failed in the Vain Stakes and McNeil Stakes. “He was disappointing last preparation,” co-trainer Simon Zahra said. “We put him out and gelded him and gave him a couple of months off. He probably grew a bit and furnished into a nicer type. “It’s a throw at the stumps on Saturday. “He seems a lot better and his trials have been quite good. “It’s 1100 metres up the straight first-up, but the money is there so we’ll have a bit of a crack at it. 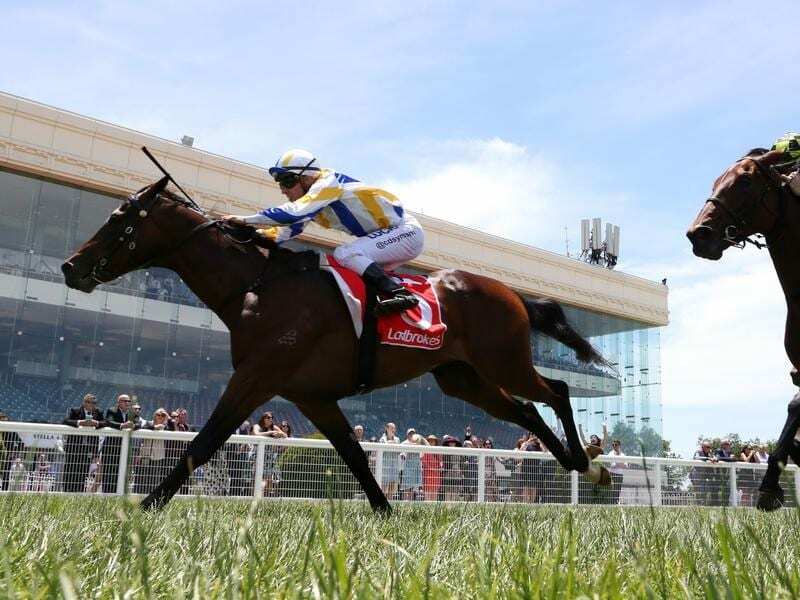 Ollivander has had one start down the straight at Flemington, finishing unplaced in a Listed race for two-year-olds in March last year and Zahra believes the course is a query. “The straight is probably not ideal,” he said. “He raced up the straight once and he pulled his head into the ground. We’re just hoping that he can switch off a bit more as a gelding and do it at the right end of the race.